UAE-based Etisalat has posted a net profit of Dh2.3 billion ($626 million) after Federal Royalty for the third quarter (Q3) of the year, marking a net profit margin of 17 per cent as revenue grew two per cent to Dh13.2 billion as compared Q3 2017. The group reported Dh39.4 billion in nine-month consolidated revenues, an increase of three per cent year-on-year, with a two per cent growth in consolidated net profit after Federal Royalty of Dh6.6 billion as its total subscriber base reached 144 million, up three per cent year-on-year, reported Emirates news agency Wam. In the UAE, the telecom firm's subscriber base reached 12.5 million subscribers. In a statement, the telecom operator said Expo 2020 Dubai has become the first 5G major commercial customer in the Middle East, Africa and South Asia region through partnership with Etisalat. The region's leading telecom group, which was granted approval by the Securities and Commodities Authority for the share buyback programme, said its board of directors had recommended lifting restrictions on foreign shareholders voting rights. 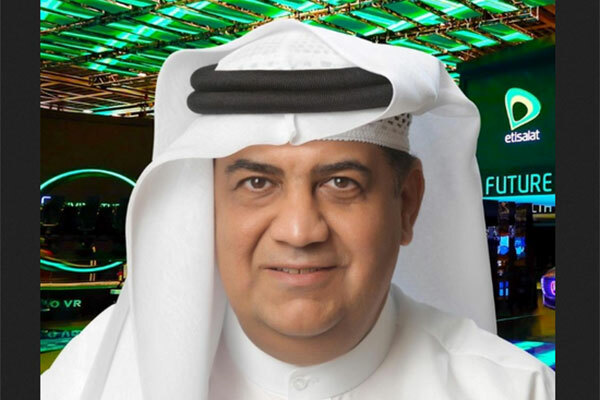 Saleh Abdullah Al Abdooli, CEO, Etisalat Group, said the operator continues to deliver a solid performance in the third quarter thanks to its focus and effort in the digitalisation of services and solutions. "As we move into the 5G era, our network and talented teams are well equipped to lead the ever-changing requirements of our consumers and the telecom industry," said Al Abdooli.